In terms of writing, in 2012 I… edited a manuscript, did extensive revisions on another manuscript (which I’m still revising), wrote FAST FORWARD, wrote my first novella STARSTRUCK IN SEATTLE, wrote and self-published a short story SISTERS AT HEART, started writing my next romantic comedy HAUNTED HOUSEWIVES, received my first publishing contract, and made the finals in Choc Lit Publishing’s Search for an Australian Star contest with my manuscript THE JANUARY WISH. 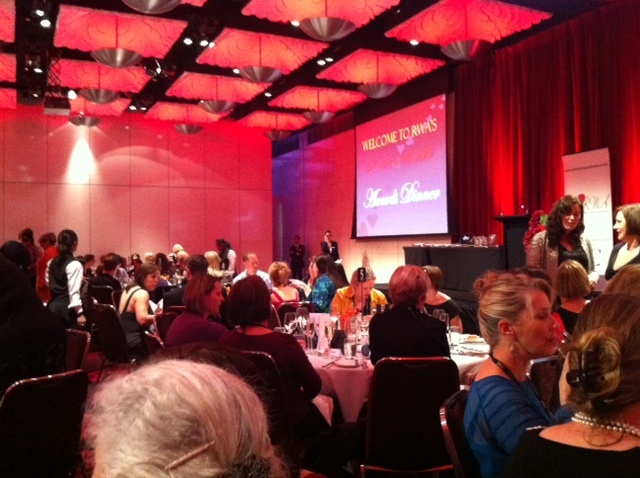 The events I attended were the ARRA awards dinner in Sydney and the RWA annual conference on the Gold Coast. I connected with a wonderful critique partner who is now a dear friend, and formed an online writing goals group. I also spent way too much time on Facebook and Twitter but we won’t go into that. So what’s the plan for 2013?? I’m still working that out, but I’d like to increase the amount of time I spend writing (or at least, write faster), and at a minimum, complete two full length books. Because I tend to shoot for the stars I’d also like to write another one or two novellas (the next one in my ‘Love Angel’ series to follow Starstruck in Seattle, and a brand new stand-alone one called ‘I Dream of Johnny’), complete a rough (or clean, whatever) draft of the first book in my young adult series The Delta Girls, and write a short story for a Christmas anthology I’ve agreed to participate in. I’d also like to find a way to survive without sleep. Will I achieve all that? Who knows, but it’s worth a shot! I think the main thing is to keep moving forward, keep learning about writing and publishing, and keep getting those words down. Progress is an achievement in itself. 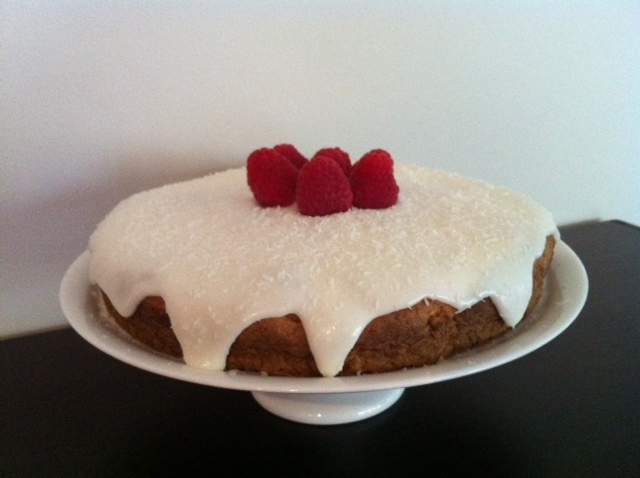 May was my busiest month which coincided with my first ‘themed month’ on the blog; Mouthwatering May. The busiest day was May 27th and the post on that day was Sunday Lunch with Jenn J McLeod. 5. Survey results – what do you like to see on author blogs? I had visitors from 110 different countries! Most of my visitors came from Australia, followed by the United States and the United Kingdom. Most visitors were referred to my blog via Facebook, twitter, my website, Google reader, and Survey Monkey. The most interesting, unique, weird, funny, or non-relevant things people typed into a search engine which led them to my blog were: Little Miss Bossy (me? ), plastic surgery Florida (not a chance), luxury hotel foyer, where is Sticklepond (I don’t know, I wonder if they found out? ), chatterbox characters, I work at the post office, It was a dark and stormy night (how original), in bed with Juliet (umm…), extreme sport reading (that’s my kind of extreme sport! ), Santa Claus hat cookie, and starting fresh. What’s in store for my blog in 2013? Lots of author interviews, including my new segment ‘Past, Present, and Future’, posts about writing, reading, life, publishing, and marketing for authors. And I’m sure there’ll be more competitions! Speaking of competitions, I’m giving away some goodies each week until the day of my book release, but exclusively to subscribers of my email newsletter. To subscribe, head over to my website and fill in the subscription form (you’ll also get my free Triple Treat with two short stories and an e-guide for living a life you love). So that’s it for this New Year’s Day post. Here’s to an awesome, exciting, magical, spellbinding, successful, prosperous, entertaining, happy, fulfilling (and various other adjectives) new year!! I’ve been writing fiction seriously for about three years, and when I first started I kept hearing people talk about ‘Call Stories’ but I had no idea what they were. I soon discovered that The Call is when a publisher offers you a contract for your manuscript, even if it happens to be via email. By the time I’d finished my first manuscript I was hooked on writing and hoped that one day I’d be writing about my own Call Story. Three manuscripts later that day arrived! Late in 2011 I started getting ideas for a new book which would be my third. I came up with the premise (an image-conscious young woman wakes on her birthday to find she’s a middle-aged housewife married to the also middle-aged high school nerd), and let it simmer for a while. Gradually, the character developed in my mind and I came up with the title, Fast Forward. I was also playing around with another couple of book ideas at the time and getting started on some major revisions for my first manuscript. At the start of 2012 (New Years Day to be exact), I was staying with family and planning on taking a few days off to relax and read a few books, but my muse had other ideas. Over breakfast, I flipped through one of my mother’s many home and lifestyle magazines and an advertisement caught my eye. It was for an interior design course and showed pictures of beautiful furniture and homewares. Before that day, I had decided that my main character would be involved in designing homewares, so on a whim I cut out the ad for inspiration. I still hadn’t decided yet which book idea I would pursue and was pondering my options as I flipped through the magazine. I asked myself, ‘Which book should I start next?’ (and by next I meant in another few weeks or so), and on the very next page in the magazine was an article titled: Fast Forward. This magazine cut-out inspired me to start my book. I took this as a sign, or more accurately; a direct kick-in-the-pants to get started on this story, so instead of curling up with a book I opened my laptop and began writing. The first few chapters flew from my fingers to the keyboard over the next three days. For the rest of the month I worked on editing a different manuscript and put Fast Forward aside until February, at around the same time as I found myself a fantastic critique partner. She read my chapters and enjoyed them and spurred me on to write more. I didn’t work on it every day, but rarely a week went by when I didn’t add more to the story. I couldn’t believe how fun and fast this story was to write. Sometimes I’d stay up till 2 or 3am because I was enjoying myself so much (although I suffered the next day). Don’t get me wrong, parts of it were plain hard work – especially figuring out how to make a 300-ish page story take place over just one day in the character’s life (I constructed a timeline in fifteen-minute increments!). By the time June came around I only had another 20,000 words to go, so I signed up for RWA’s 50k in 30 days challenge and vowed to finish it by the end of the month. Half way through June I typed ‘The End’. Overall it took me about four months to write. I sent the rest off to my critique partner who gave me some very helpful suggestions and I went straight to work editing it. I didn’t want to put it aside for a while like many authors (rightfully) recommend. My heart was still in this story and I wanted to work on it while it felt fresh. I edited the first three chapters many more times until I was happy with the beginning, and did a final read through. I then entered online pitch contests and began the time-consuming process of researching agents, publishers, and sending out queries. All in all I got about twenty agent rejections and two editor rejections, but received feedback and took (most of it) on board, tweaking some parts of the manuscript. Then I pitched it at the RWA conference on the Gold Coast in August, and while I was there, learned of Harlequin Australia’s new digital-first imprint, Escape. At first I didn’t think my story would be suitable (for starters, my hero was a nerd!) and I went home and sent off my other submissions. After seeing Escape’s tweets on twitter, I decided I should check out their submission guidelines anyway and they seemed fairly open-minded about different genres and mixed genres as long as it had a significant romance and happy ending. Mine was a combination of women’s fiction, chick lit, hen lit, comedy, romance, futuristic, and paranormal (what was I thinking?!). In the end I decided on romantic comedy and sent off a partial submission, knowing I’d find out in two weeks if it wasn’t suitable. On that wonderful day I remembered I’d actually had a dream about Harlequin Escape the night before – talk about prophetic! I checked my email as usual first thing in the morning, but there was nothing interesting. I decided to sit outside in the sun for a while to soak up some vitamin D and brought my iPhone with me. My email made that sound telling me I had new email and I glanced at the screen expecting it to be yet another ‘20% off all dresses, today only!’ or a very tempting ‘Booktopia Clearance Sale!’. But it was from Escape. Delig? Was that part of the word I thought it was? …Delighted? But I knew it wouldn’t. I knew what it was going to say and my hand shook as I pressed the screen to open the message. Here I am just about to sign my contract. The shaking intensified and lots of ‘Ohmygod’s’ spewed repeatedly from my mouth. I’m sure my neighbours thought I was having a heart attack. It was a really humid day and my palms were so sweaty from heat and excitement I could barely scroll the screen down to read the rest of the message! I had to keep the news fairly quiet at first so I just rang my parents (who sent me a huge bunch of flowers later that day), and then my critique partner (90% of our conversation was the word ‘exciting’), and spent the rest of the day with a permanent grin on my face and completely unable to do anything productive. It still amazes me that it was only less than a year ago I started writing this story and now it’s about to be released. I love how fast digital publishing works and I’m looking forward to getting this story out into the big wide world of the internet! I’m also excited to be involved with Harlequin, a company who has such a strong foundation and worldwide brand. To all the writers out there – keep writing, editing, polishing, and submitting, and embrace the digital age. To all the readers – keep reading, reviewing, and telling your friends about great books. Help, I’m Haunted! Why a ghost is in my novel & how it’s freaking me out! Seriously, I don’t know how thriller and horror writers do it. Write scary stuff that is. As soon as I write or even think about something scary my mind becomes hypersensitive to anything and everything around me. I jump when the phone rings. I flinch when a strand of hair falls loose onto my cheek. I even gasp when the toast pops up (C’mon, I bet you’ve done that too, right?). Yet for some reason I’ve decided to create a ghost character in my new work-in-progress. Don’t worry, I haven’t gone over to the dark side to write horror novels, I’m still writing humorous and heartwarming fiction. It’s just that I’ve thrown a ghost into the mix to liven things up in my story, appropriately titled: Haunted Housewives. This is the second in my ‘Touch of Magic’ themed romantic comedy books, the first being Fast Forward (which involves time travel). My aim with these books is to create fun stories of modern life but with some sort of magical or paranormal twist. So I thought a ghost would be a perfect inclusion into one of these stories to spice up the tension and create some funny scenarios. Until freaky things started happening. But this is interesting... When I was deciding on a name for the main character, a name popped into my mind. I liked the first name but the surname didn’t feel completely right. I asked myself ‘What would a better surname be?’ and instantly another one came to me. I googled it. The name was the same name of a murder victim, and (with tears in my eyes) I read about her terrifying ordeal in an online newspaper. Then I gasped. The article mentioned a street name not far from her house which had the same name as the original surname I’d thought of. I decided to keep the first name (Sally) for the character but change the surname to something different. However, I am thinking of dedicating this book to the woman who died to honour her memory. So for the next few months or so, ghosts will be on my mind. I’ve always loved ghost stories and movies and television shows with ghosts in them, so I’m excited to be writing this ghostly character and seeing what mischief she gets up to and what challenging and funny situations she puts the main character into. It’s definitely not a spooky story by nature, but I hope there will be a few shocks and surprises throughout. Do you have a favourite ghost story or movie? Do you have any spooky experiences to share? 1. Thank you for joining me on the blog today, Lillie. Your memoir, In The Shadow Of A Badge, details your experience at the Flight 93 crash site in Shanksville, Pennsylvania; and how the 9/11 attacks affected your life. Can you tell us a little about your book and your experience of that day? The book reflects my story about the visitation of Angels during the first moments at the Flight 93 crash site. It is a narrative non-fiction account of the spiritual experience I encountered while serving in my professional capacity as the Community Outreach Specialist with the Federal Bureau of Investigation, Pittsburgh Division. What I saw and/or heard is a personal interpretation of the events leading up to and following 9-11 and, in particular, the Flight 93 crash. The book also details my on-going journey of personal healing and recovery from Post Traumatic Stress Disorder (PTSD) following my experiences that day. The chapters penned include some significant historical facts as well. 2. Can you share with us a brief excerpt from your book? 3. How did the events of that day change your life and your view of the world? Like many others who watched and witnessed the terrorist attacks of 9/11, my life was dramatically altered by the very nature of the events. First and foremost, 9/11 removed any sense of security and left in its stay, a deep seeded feeling of fear. This frozen fear caused trauma to my heart, mind and soul. Yet, due to my inability to express the emotions felt, I became afflicted with PTSD. As a result, every aspect of my life has changed. 4. The memory of 9/11 brings with it a lot of strong emotions for people; do you think there are some positive things people can take from this experience to help them move forward in their lives? Yes, I do feel there were some positive occurrences on 9/11. From a law enforcement perspective, I believe many individuals served on behalf of their fellow man. At each of the three sites, acts of bravery transpired. When the Twin Towers were struck by the planes, the emergency responders rushed in to save lives and rescue the injured. When the Towers fell, the responders assisted in recovering those who lost their lives and in the post clean-up efforts. At the Pentagon, the same type of heroic deeds were witnessed on countless occasions. And, the passengers and crew members aboard Flight 93, gave their lives to assure others would survive. While at the crash site, I watched representatives from United Airlines, the law enforcement, human service and government agencies work in tandem to address the needs of the family members who lost loved ones on Flight 93. Each of these remarkable individuals gave their all to ease the pain and suffering of the survivors. Additionally, residents of the surrounding communities rallied and offered unbelievable support to the families. And, the area business owners provided essential supplies needed for an effective response to the tragedy. There were so many individuals who helped to ease the pain and suffering of others. They joined together to help rebuild the lives of those most affected. It was amazing to watch the strength of spirit exhibited by one and all. 5. Your book is the first in a trilogy, can you tell us what the other two books will be about? Book two provides the continuing story from where the first book left off. The many chapters trace my journey as a law enforcement officer, the PTSD diagnosis, the necessary healing processes and the difficulties faced. 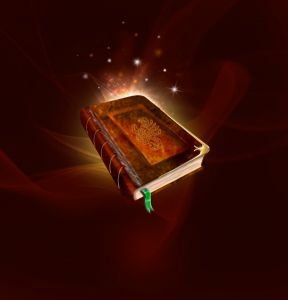 The pages also unearth aspects of my childhood, spiritual path and the origins of my intuitive gifts. Additionally, the narrative is my version of a love story. 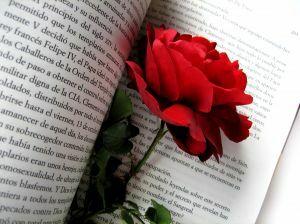 Not, the conventional type that one may be familiar with reading, but it is my rendition of the “affairs of the heart”. The third book of the series provides insight into my treatment for Post Traumatic Stress Disorder (PTSD). The pages penned delve into the initial treatment of Eye Movement Desensitization Reprocessing (EMDR) – a highly successful therapy used to aid those suffering from the effects of PTSD. “Messages From the Plane” describes my journey to restore my mental health, as well as reveals the extraordinary phenomenon that occurred during each of the EMDR treatments. With my mind open, my intuitive abilities were tapped and my creativity began to reemerge. The pages highlight my path out of the depths of despair to a deeply enriched spiritual connection. This book was co-authored by Dr. Deborah Conway, PhD. Dr. Conway is the psychotherapist who treated me through conventional therapy and through the process of the EMDR sessions. 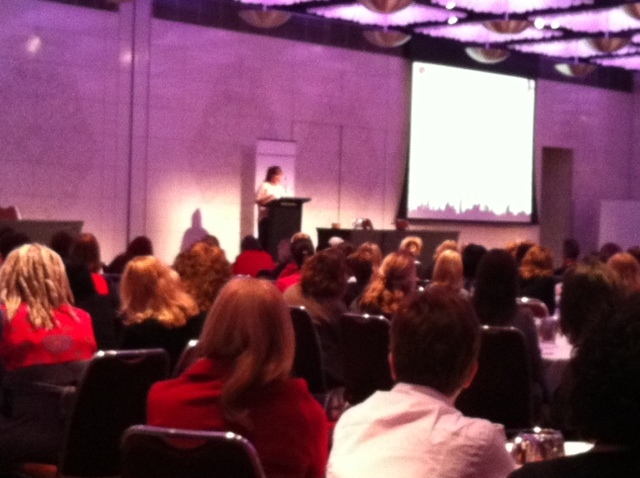 Thank you for sharing your amazing story and personal journey, Lillie. 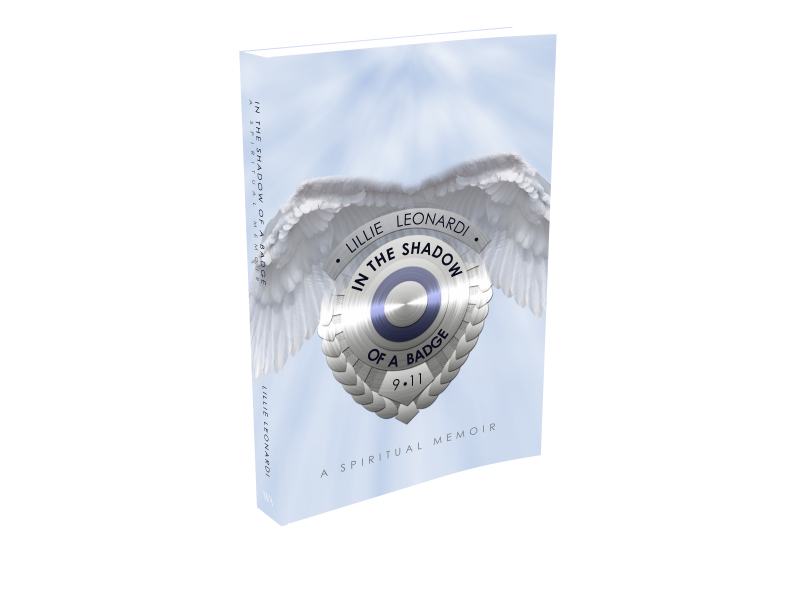 Lillie’s book, In The Shadow Of A Badge, is available at Amazon, BN.com, select Barbes & Noble stores, and Word Association Publishers. You can also find out more about Lillie at her website. Do you have a 9/11 story to share? Where were you on that day? 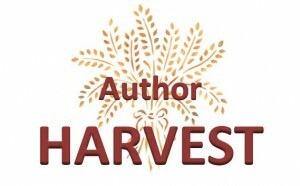 Spring has Sprung… time for the Author Harvest! The sun is shining in my part of the world today, birds are chirping, the ocean is sparkling, and colours are beginning to burst to life in the garden. To celebrate the start of Spring, I visited author Jenn J McLeod’s blog to be the first seedling to take part in her Author Harvest. Reading In Bed – an extreme sport? Yesterday, July 24th, saw the birth of the first ever ‘Global Read In Bed Day’, an initiative of mine to raise funds for literacy charities (and give participants an excuse to spend a relaxing day curled up with a good book!). The GRIBD Facebook group has around fifty members so far, and I hope this will grow as word gets out, so the next time we have another ‘Read In Bed Day’, even more people can participate! But what’s this about reading in bed being an extreme sport? Well, throughout the day, injuries, exhaustion, and obstacles were reported. Injuries: I fell down the stairs on one of my ‘reading breaks’, resulting in a swollen wrist and aching leg muscles (I have been hobbling around today as though I’m ninety-five!). Exhaustion: Some participants reported almost falling asleep, and one (yours truly) actually did. Obstacles: Some participants had to navigate around work committments, taxi duties, parenting responsibilities, and the dreaded ‘that-which-must-not-be-named’ (aka: housework), in order to have a few minutes here and there of reading time. One participant even had the distraction of being in the beautiful South of France. Talk about difficult! Who said Reading In Bed was easy? If you’re planning on participating in the next event, do so at your own risk! Just Breathe, and Lakeshore Christmas, by Susan Wiggs. 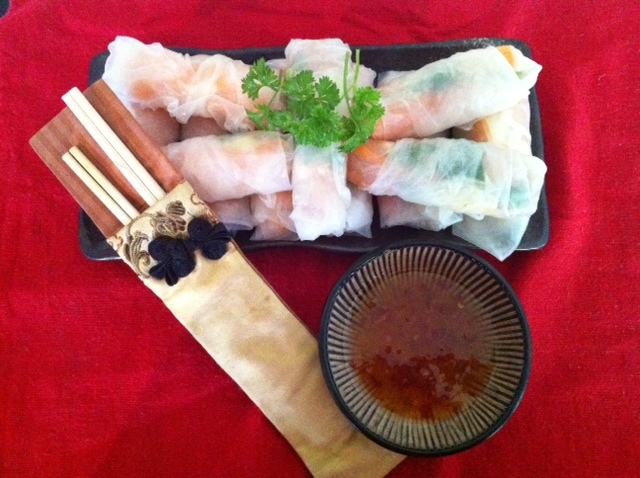 Sushi For Beginners, by Marian Keyes. Books by Agatha Christie and PD James. The Bet, by Jennifer Crusie. Nadia Knows Best, by Jill Mansell. Alice Bliss, by Laura Harrington. The Good Girl’s Guide To Getting Lost, by Rachel Friedman. Something Borrowed, by Emily Giffin. Even the Sunday newspapers and a writer’s work-in-progress got some love! To join the Global Read In Bed Day Facebook group, click here and log into your Facebook account. Then, Ta Da! Light bulb moment. What if I could write a story about a group of women going through their own life makeover, following their ups and downs as they participate in an exclusive club, in a humourous yet heartfelt way? And what if I could impart some snippets of wisdom along the way? Yes! I thought. What a great idea! 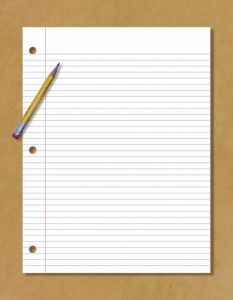 And then was born my novel, or my, er… snovel: A Self Improvement Novel. Now don’t get me wrong, The Life Makeover Club is first and foremost, a novel; a fictional story about women’s lives. But, through the club meetings these characters attend, they learn some important lessons, and tips on creating their ideal life. It is my hope that when (yes, when, not if!) this book gets published, readers will not only find it an enjoyable read, but will also be inspired to make some positive changes in their own lives, and have their own life makeover just like I did. So what do you think of the idea of a ‘snovel’? Do you know any other books out there that could be called snovels? And if you could makeover something about your life, what would it be?